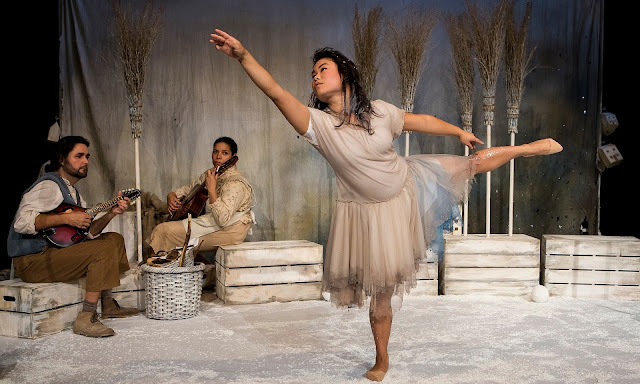 "My mother is the wind; my father is the frost," says the Snow Child, as she dances into the lives of a childless couple living at the edge of a deep dark forest. 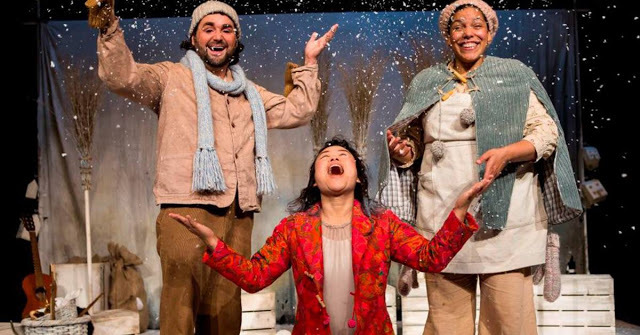 Hungry with the longing and desire for a child, and in pain from years of continuous criticism from the other villagers, the couple desperately welcomes the Snow Child into their lives, and they yearn for her to find a home in their family. But the Snow Child insists she is different from the Other Children, and persists in behaviours peculiar to the village as a whole. What happens when she wanders off back into the wild? Will there ever be love and warmth in the home once again? UK-based tutti frutti productions presents an enchanting tale of love and hope. 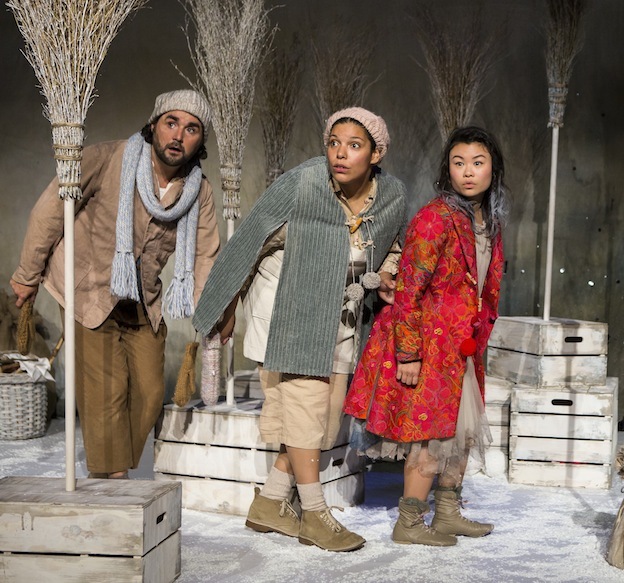 Written by Emma Reeves, the 2016 KidsFest play was a delight for the children, who warmed up to the Snow Child the moment she appeared on stage. "Is she real?" they chorused, as the girl seemed to come alive and wear the winter clothing of her new parents. It was as though magic was in the making, and the kids in the audience very much wanted to be part of that enchantment. The plot was riveting from start to finish; and the audience was left guessing until the end if the Snow Child would create a new home with her human parents, or if she would return back to becoming a creature of the wild. Our 5-year-old son Z continued to ask 'Where is the Snow Child?" even after the performance; as he continued to wonder if the little girl had stayed on with her parents or if she was still lost in the great somewhere out there. Presenting many poignant themes, Reeves built on the original story written by Alaskan novelist Eowyn Ivey. 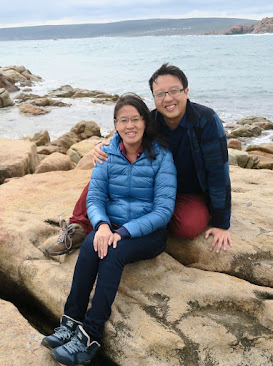 She presented the perennial question of what couples should do if they couldn't have children, and then added a new dimension; that of adoption and what it means for the adoptive family. This was splendidly done through the concept of the Other Children; and how Other Children are always perfect in the eyes of adults. For instance Other Children always tidy their rooms and eat their food and sleep at bedtime. This is a sharp contrast to the curious adopted child who has her strange habits and never seems to do what is right in the eyes of society. 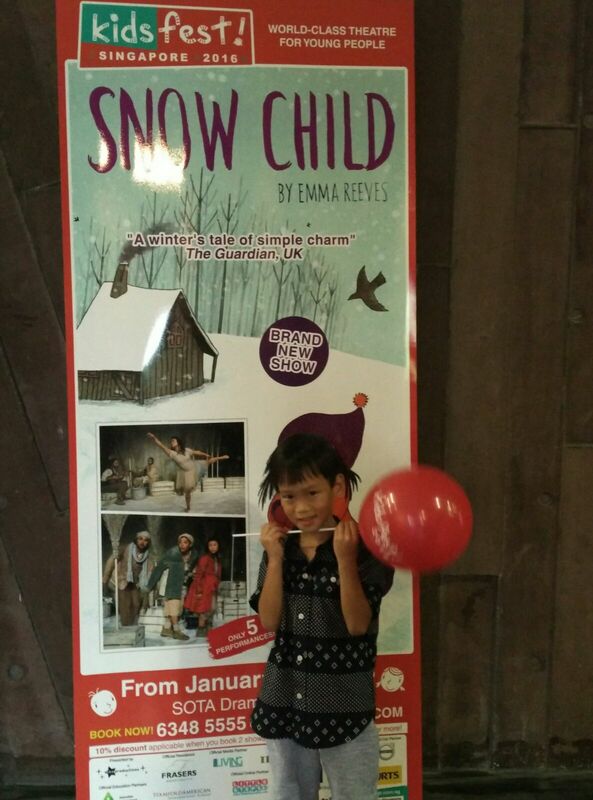 Casting was brilliant; Mei Mac stole the show as the exuberant and energy-charged Snow Child. Her elegance and poise was a delight to watch as she gracefully played her role as a little child of the elements, untamed and wild. The spectacular acting was complemented by many catchy tunes, all choreographed by UK-actor/composer Ollie Birch. And what better to bring about the chilly spell of a winter's day than a minimalist set design? Inspired by designer Kate Bunce, the frosty illustrated scenes and broomstick trees conveyed the emptiness of the ice, and it captured both the couple's deep longing for a child, as well as the Snow Child's innate desire to be free. Perhaps that's what all good shows should be like; a captivating plot, lovely songs and dances, and meaningful themes for young and not-so-young audiences to mull over. Snow Child is a production of KidsFest 2016. Parenting on Purpose was provided with complementary tickets to review the play, but all opinions presented here are our own.